Effective park maps highlight attractions, services and food venues. 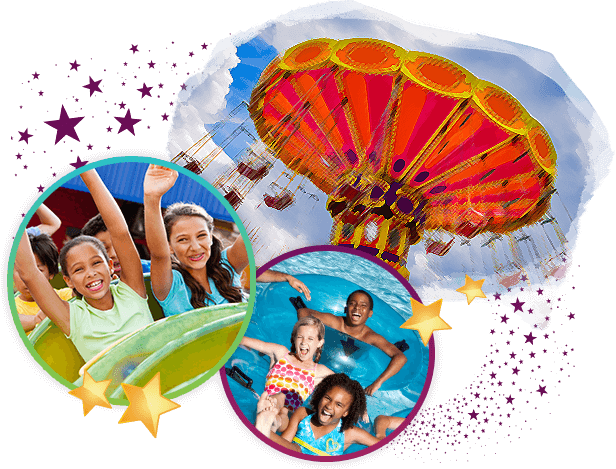 Find your way to services and attractions. Users may browse and filter the listing of attractions and park landmarks by using an interactive and mobile responsive park map. The traditional map modernized for smartphones and other devices, simply click on an attraction to have it highlighted on the map. 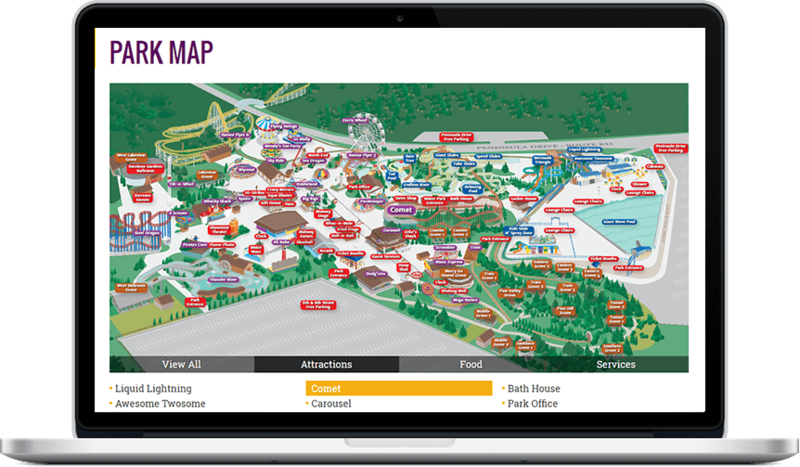 Users can filter attractions, food, services and more to find their way around your park.